Home / Handcrafting / Did I do that? A few days ago I sat down with some polymer clay and started making something. My clay making is OK, I used to do loads but stopped a while back to do some other stuff. I had been making clay jewellery, which never sells, and I was starting to feel uninspired. I also burnt a few things in the new clay oven I got for Christmas so decided to stay away from it. Anyway, this little man was on my desk. I made him, I MADE HIM!!!! I’ve never heard anyone say this before, but I wonder. Is there a point in an artists life when they are so impressed with what was made that they don’t quite believe it? I’m going to have to lie down for a while. I’ve been going through a strange time recently. So many crafts to learn, so little time. Not forgetting the drawing and painting I wouldn’t mind having a go at. I recently got my teaching qualification, and am doing some workshops at Inkwell, all great. 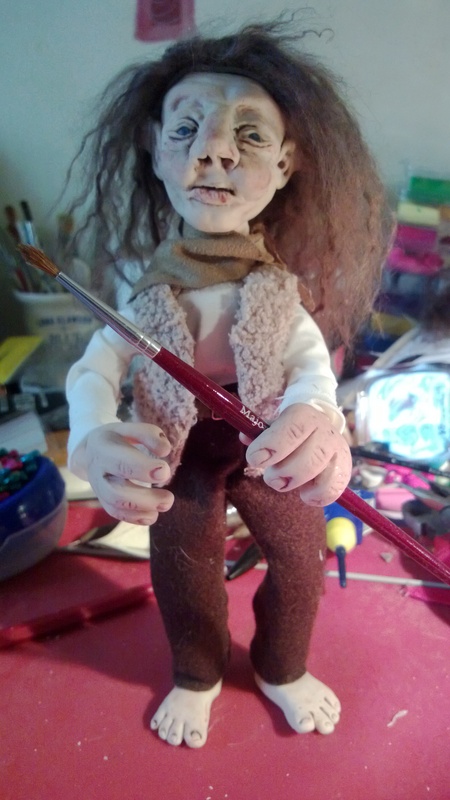 I’ve done many weeks now of felt doll making, and my mind is thinking what to do next. I feel like I’m constantly looking for the next craft. I don’t have a business card because I don’t know what to call myself. I’m a Jack of all trades, Master of none. My home i filled to the brim of craft stuff I want to start, unfinished and untried stuff. I have a list as long as my arm of courses I want to do. 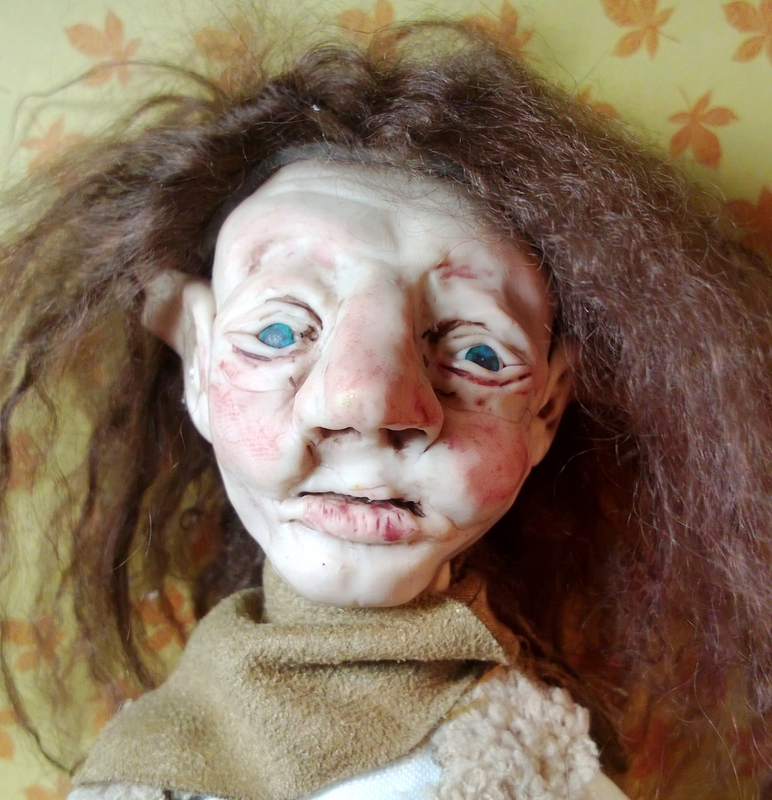 I tried to make a Waldorf doll the other day, it was a disaster. I’m not very good with a sewing machine, prefer sewing by hand. I panic, worried what would happen if I died not knowing how to do this skill. And then, I made Vivien. I’m sitting here, thinking I could be good at this, really good. I could persevere with the Waldorf thing, do an okay job and I’d probably think, yeah I made that, what’s next. Or I could accept that I might not know everything. There’s some aisles in Hobby craft I won’t go down because I’m aiming to be a master of something. I’ll not stick at one skill, I love my spinning wheel and my crochet hooks far too much, but maybe it’s OK to have a few things that you’re great at rather than many that you do fine in. I love discovering blogs that resonate with me. Thanks for the follow. It allowed me to discover your blog. I worked in clay when I was in college. I only took one class but it was so much fun. Instead of making what everyone else was making, I made dolls and towns and mermaid boxes. I won’t say they were great (they weren’t) but it made the class so much fun. :-) I love these figurines you made. It’s nice when our work surprises us. Thanks so much for the likes, it made my afternoon. 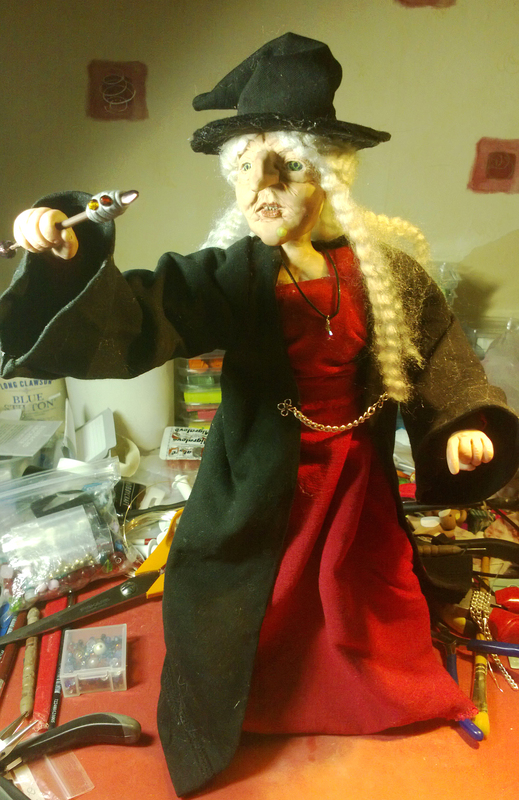 It seems whatever craft I do I end up making dolls with it and four years at university trying to do things other than dolls just ended up with me accepting I was a doll maker… and I love it. Thanks for following me back.